Guidelines for exciting new First World War competition- launching this summer! Album cover for the popular ‘New Perspectives’ podcast series where select competition entries will be added. To enter, you should submit a proposal for a blog post or short (audio/video) podcast which presents a new perspective on the First World War and its impact – to the University and beyond. 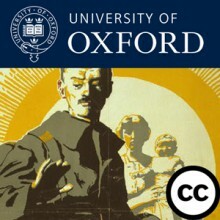 Proposals should be submitted to the ‘Oxford Ideas’ website by the submission deadline (midnight on 1st August 2016) and sum up the key points you will make in the blog post/podcast in no more than 200 words. Entrants may present unrefined ideas, early thoughts and as yet unformed research projects or works-in-progress but should never compromise on the commitment, as academics, to a high intellectual standard. We also welcome proposals from college, library and museum staff that tell a story of the University in the First World War. The intended audience of the blog posts and podcasts is: researchers, librarians, educators and more generally, anyone with an interest in the First World War. Therefore, entries should be carefully crafted with these groups in mind. It can be helpful to engage with the question of: why does your history matter? Are there contemporary parallels or implications? Does it tie in to modern concerns or news stories? Any interesting angle is welcome, but do try to think about your work in creative ways and ask yourself how best you can make the work appealing and accessible to a broad audience. Selected entries will showcase on the world-renowned Oxford iTunesU, ac.uk, Oxford Centenary Programme and WW1 Centenary: Continuations and Beginnings websites. Thus, you may want to look at existing posts and podcasts (in particular the New Perspectives series) for inspiration and guidance on previously successful styles and formats for this type of content. To enter, visit the ‘Oxford Ideas’ website and click on the challenge entitled ‘WW1 Research Competition’ and then the ‘enter’ tab. In doing so, you will be asked to complete a simple form where you can provide the key details of your proposal along with a short description (200 words max.). Once you have submitted your proposal, it will be open to other members of the Oxford Ideas community to comment on. You are welcome to edit your entry based on any comments and suggestions you receive. We also encourage you to take a look at the other proposals submitted and add your thoughts, questions and words of support. This can be a really valuable element of the process so we urge you to get involved. This function will close on the submission deadline: midnight on 1st August 2016. Up to 10 finalists will be shortlisted by a team of judges (based at TORCH and Academic IT Services); you will be notified either way on 16th August 2016. If your proposal is successful, you will then be given instructions in a notification email to sign up to a surgery and/or recording session where you will be given support on how to create and disseminate online content through the abovementioned channels. These sessions will be scheduled throughout September and in early October 2016. Contributors can express their ideas, in their own style and with whatever degree of informality they wish. Our First World War channels do not have a style guide or require a specific referencing format: they are neither an academic journal, nor newspaper. However, you may benefit from looking at previously successful blog posts on WW1 Centenary: Continuations and Beginnings and podcast series such as New Perspectives for inspiration. That said, entries must reflect the fact that the authors are representatives of the disciplines that make up First World War studies, their department or organisation, and the academic profession. Entries can be ‘political’ — we would encourage it! — but should be written/presented in a responsible, respectful fashion and not be purposefully inflammatory. We advise against including personal information in your blog post/podcast, as this may have unintended consequences. Feel free to include hyperlinks and images if relevant to your topic. However, please ensure that you have the necessary permission to reproduce this content (see our further guidance under the heading ‘Good Practice’). The winner will be announced in October 2016 and will receive the following prizes: an iPad mini and a free ticket to the International Society for First World War Studies conference on 10th-11th November 2016 (including dinner). Good luck! We very much look forward to receiving your proposals. If you have any questions about the competition, please contact the team at: ww1collections@it.ox.ac.uk.